Tall and imposing, with a solid build, a steely gaze, and calloused hands, this man would never be mistaken for a maester if not for the grey robes and distinctive chain around his neck. 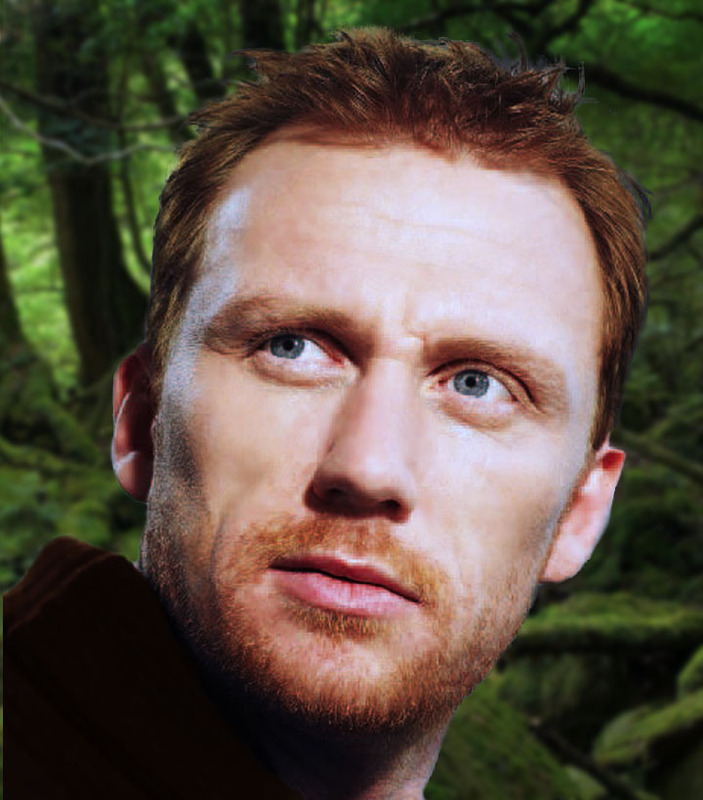 A shaggy mane of shoulder-length ginger hair and a scruffy beard frame a chiseled face lined with years of toil and travel. One of his blue-grey eyes has turned milky and white, the flesh around it marked with some kind of ritual scarification. There is nothing soft about this particular scholar. When he speaks, his accent easily gives him away as a son of the North, though he has long since left behind the elocution and proper speech of a nobleman. As a maester, Thane is adorned in plain grey robes. His are a bit heavier than most, but they serve well to shield against the cold ocean breezes, even as tattered and threadbare as they are. Around his neck is a maester's collar; a chain made of links forged of various metals. To the learned eye, those links tell the tale of his scholarly achievements. Among the more notable links are those crafted of copper (for history), black iron (for ravenry), silver (for medicine), and rarest of all, Valyrian steel (for knowledge of magic and the occult). He is rarely without three particular accoutrements — a weirwood walking staff carved with a face reminiscent of the heart trees themselves, a battered and worn leather satchel slung across his torso, and a large black raven perched upon his shoulder. 76 A.L. (age 0) - Born Thane Manderly in White Harbor. 81 A.L. (age 5) - Began having Green Dreams. 85 A.L. (age 9) - Sent to the Citadel. 88 A.L. (age 12) - Predicted the death of Maester Gregor. 90 A.L. (age 14) - Predicted theft of an artifact from the Citadel. 94 A.L. (age 18) - Foresaw a shipwreck containing invaluable Valyrian scrolls, and retrieved them. Dubbed "Thricewise". 96 A.L. 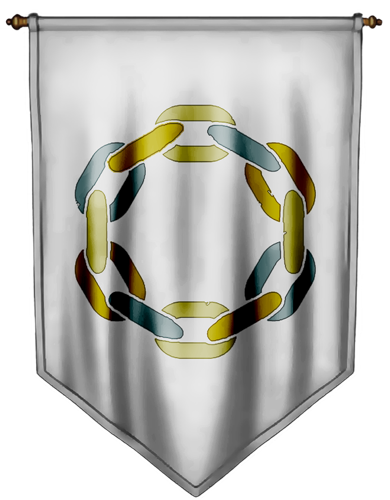 (age 20) - Earned first Valyrian Steel link. 104-109 A.L. (age 28-33) - Departed on "pilgrimage" to learn about magic and religion out in the world. Spent five years roaming Westeros, periodically returning to the Citadel for study and certification. 109-112 A.L. (age 33-36) - Crossed the Narrow Sea to study Essosi magic and faith. 112 A.L. (age 36) - Fled Essos, but only after receiving a prophecy that would lead him to the frozen north. 113 A.L. (age 37) - After reporting back to the Citadel, rode north to Castle Black, and convinced the Lord Commander to let him travel with a party of rangers. The rangers are ambushed and killed by wildlings, but Thane is spared due to his red hair. 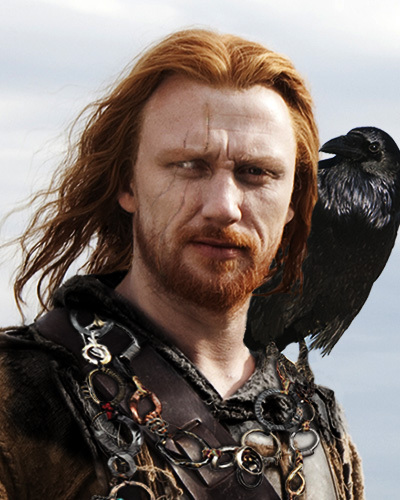 A greenseer of their tribe claimed that one kissed by fire and bound by chains would appear in the company of Crows. 113-115 A.L. (age 37-39) - Trained with Roragh One-Eye to advance his greensight and learn to be a skinchanger. 115 A.L. (age 39) - Returned to Oldtown. 116 A.L. (age 40) - Appointed as Valyrian Steel Archmaester. Departed later that year for Essos on a research mission. 118 A.L. (age 42) - Sent a letter to the Citadel saying he was headed into Asshai-by-the-Shadow. After a year without further word, he was presumed dead. 120 A.L. (age 44) - Reappears in Oldtown on a Volantene ship in the company of Captain Arron and the missing children of Lord Ormund Hightower. Born Thane Manderly, the man who would one day be known as "Thricewise" was a source of consternation for his father. 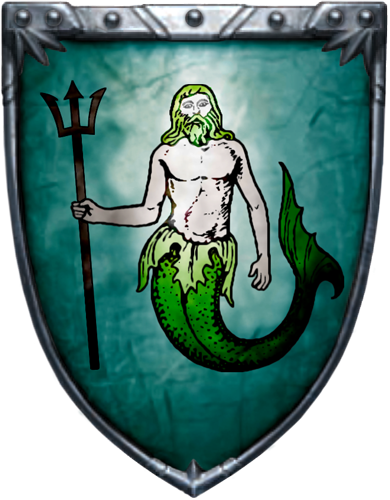 Unlike other Northern houses, the Manderlys take the Seven as their gods. So Thane's father was beside himself when his son's green dreams began. Though ignorant of greenseers, it was clear from the content of Thane's dreams that the Old Gods were meddling with House Manderly. When it became evident that the dreams would not fade on their own, the choice was made to send Thane to the Citadel to become a maester. Thane could not help but be fascinated by the dreams. Still, the words of the septons and his father rang in his ears, insisting that to embrace the dreams would be an offense to the Seven. He tried to be a dutiful son, ignoring the dreams as best he could, and when he couldn't, he found that a drunken stupor seemed to banish the visions (or, at least, it left him so hazy that he could not remember them). 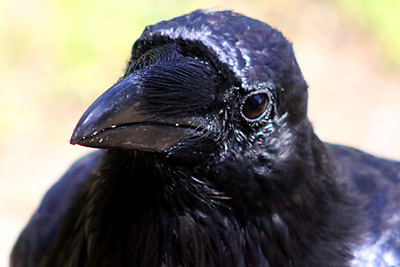 Thane is rarely seen without his avian companion, a raven to whom he has never given a name, addressing him merely as "raven". But the Old Gods would not be denied, and neither would Thane's curiosity. Amidst his other studies, he learned all that he could about the Old Gods and the Children of the Forest. References to greenseers were sparse at best, but Thane was possessed of a cunning mind and began to piece together the puzzle on his own. Within a few years, he had rejected the Seven, and taken the Old Gods as his own, now confident that he had some role to play. Thane was born a Manderly, but renounced his title to become a maester. During his time at the Citadel, Thane had many powerful prophetic dreams. Among them, he foresaw the accidental death of an esteemed maester at the Citadel. Naturally, once word got out that he knew it would happen, suspicion was cast his way. A second vision predicted the arrival of an injured man who would steal a priceless artifact from the Citadel. Thane tried to warn his fellow maesters, but was ignored until after the incident occurred. Sometime later, he dreamt of a shipwreck from across the sea that would contain treasures of great interest to the Citadel. This time, he set out on his own to find the ship, and surely enough, he discovered it being picked clean by salvagers, who sold him several chests of ancient Valyrian scrolls for a modest price. Finally, his visions had brought something good to the Citadel, and he earned the nickname "Thricewise" for his three prophecies. In spite of his gift to the Citadel's library, and such accomplishments as forging a Valyrian steel link to his chain, many still viewed him as something unnatural, and this was no secret to Thane. He eventually made the choice to leave the Citadel on a sort of pilgrimage, setting out to follow his visions and learn more about his place in the world. For many years he wandered Westeros, developing a reputation in some circles as a mysterious hedge wizard. He was content with this mantle, as it kept the fearful away, and the curious were often willing to part with their coin to have their fortune told or some "magic spell" cast for them. Inevitably, his quest took him back to the North, and even Beyond the Wall to learn more about that which haunted him. He nearly paid for this knowledge with his life on several occasions. But when he returned to Castle Black, he was a changed man. He had learned of the secrets of skinchanging, and though a novice practitioner, had found the talent within himself. The very night of his return from the Lands Beyond the Wall, Thane received a vision of the Citadel. He knew immediately that he was being called back. He established himself in a rickety tower of the Citadel, used mainly for storage. There he had the privacy to engage in his study of magic without interference. In short time, he became known as an expert on the subject of the mystical, and some months later he was appointed the Valyrian Steel Archmaester, making him the foremost authority on magic in all of Westeros. Thane's studies would take him abroad again, this time for nearly four years across the sea and as far as the lands of Asshai-by-the-Shadow. What he experienced there, he does not speak of. But he returned from that shadowy place marked, both physically and spiritually. The Archmaester Thane that returned from Essos is more mysterious and unpredictable than ever. I had dreams of a flame from the North coming to the Hightower. Sometimes, it would fuel the tower's fire and shine brighter than ever. Other times, it would set the tower ablaze. Which will she be? Has the Green-Striped Tiger served his purpose? I suspect there is more to his destiny than bringing Lord Ormund's children home. The girl has potential, but I doubt she'll have the same freedom I did to escape her situation. Wed to a son of Lord Ryswell. Steffon's brother. A notable drunk. Archmaester: As one of the foremost among the trained scholars of Westeros, Thane is knowledgeable on a wide variety of subjects. Magic: Thane's greatest specialty is knowledge of magic and the occult. He is even reputed to be a hedge wizard. Theology: Thane has traveled all over to study not only magical traditions, but also the religions of the world. Medicine: Thane is an advanced healer, particularly well-versed in herbal and holistic treatments. Green Dreams: Thane is a greenseer. He is often guided by the prophetic visions that come to him in his sleep. Interested in using him to help promote a plot point? Let's talk. Bound to the Bottle: Thane's early struggles with his visions led him to drown them in alcohol, a demon that haunts him to this day. Reputation: Hedge Wizard: In his years of traveling, rumor grew up around Thane as a hedge wizard. While he does possess some magical lore, his true "spells" are simply medicinal cures and practical application of his knowledge. Steely Gaze: He doesn't try to be intimidating, but there is an intensity to Thane's gaze that some people find unsettling. His milky right eye and the ritual scars around it do nothing to soften his countenance. Stubborn: Thane can be very set in his ways, and thought hardly closed-minded, once he's made up his mind about something, it can be difficult to dislodge his opinion. World-Weary: Thane has traversed most of Westeros, gone Beyond the Wall, and ventured into Asshai-by-the-Shadow. Though well-versed in the ways of the Seven Kingdoms and more, the trials he has put his body through are starting to catch up with him.